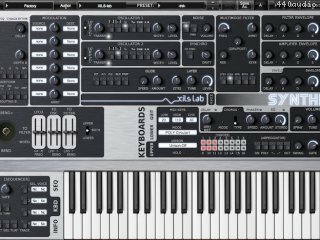 The Synthix is inspired by a famous and legendary Synthesizer from the 80's, which a lot of talented guys used as their central Keyboard, including some synths Gurus. - The Rythm : an LFO with uses the Rythm for its main purpose. - 8 totaly independant layers (each layer can have its own set of oscillators, filters, envelopes, glide and lfos, with independent settings). - 2 keyboards, each with its own independent arpeggiator and MIDI settings management. Crash when clicking into the sequencer without any voice selected. Mute/Solo didn't work with 1.0.1. Sequencer edit : didn't work properly with 1.0.1. Preset launch reduced time launching a preset. On windows : text edit background changed. MIDI controller panel : settings were inverted. MIDI assignation : Learning when Ctrl+Alt+click, close when assignation completes. _ Protools : notes hang when transport is stopped. _ Arp and glide parameters now work fluently at all sample frequencies. _ up/down arrow to browse (increment or decrement) presets (Dependent on your DAW abilitties). _ Chorus : a new mode position to smooth eventual clicks when oscillators were driving the Chorus Special Synthex mode. _ Hung Midi notes below C0 is now fixed. 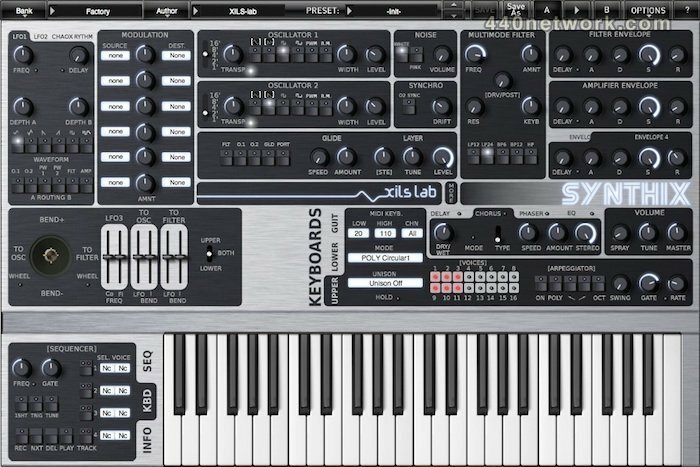 I'm no longer working with synthesizers nowadays, but I owned one the hardware Synthex as it was released (it still relies with all 8 voice out of work in my garage). Xils Lab has done a great job again. I'm listening in tears to the demos.